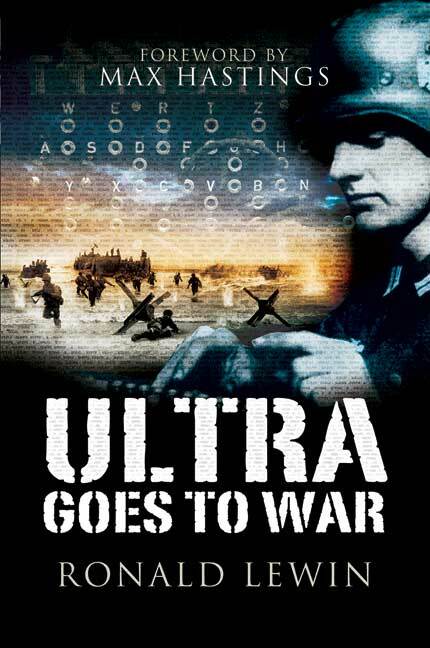 You'll be £12.99 closer to your next £10.00 credit when you purchase Ultra goes to War. What's this? Ultra -- the code word for the greatest secret of World War II -- was the method by which the Allies intercepted German radio transmissions and broke their coded contents. But how was this information transmitted to the battlefield? Author Ronald Lewin was the first historian to utilize actual Ultra intercepts to show how this information was used in combat. He is also the first historian to have interviewed the men, both British and American, who produced and used Ultra intercepts in the key positions of leadership throughout the war. In documenting these incredible events, author Ronald Lewin tells the story of Ultra from 1920 through 1945. He utilized more than 70,000 previously secret Ultra intercepts. He has interviewed the Head of the Polish secret service who provided the Allies with the first Ultra code-breaking equipment before WWII started. He shows how the German radio signals were intercepted, how the codes were broken, how the information was evaluated, how Allied reactions were planned, and what impact this Ultra material had on the field of battle. Ronald Lewin is author of Rommel as Military Commander , Churchill as Warlord, The Life and Death of the Afrika Korps: A Biography, Slim: The Standardbearer. A Biography of Field-Marshal the Viscount Slim, The Chief: Field Marshal Lord Wavell, Commander-in-Chief and Viceroy, 1939-1947, Hitler's Mistakes.